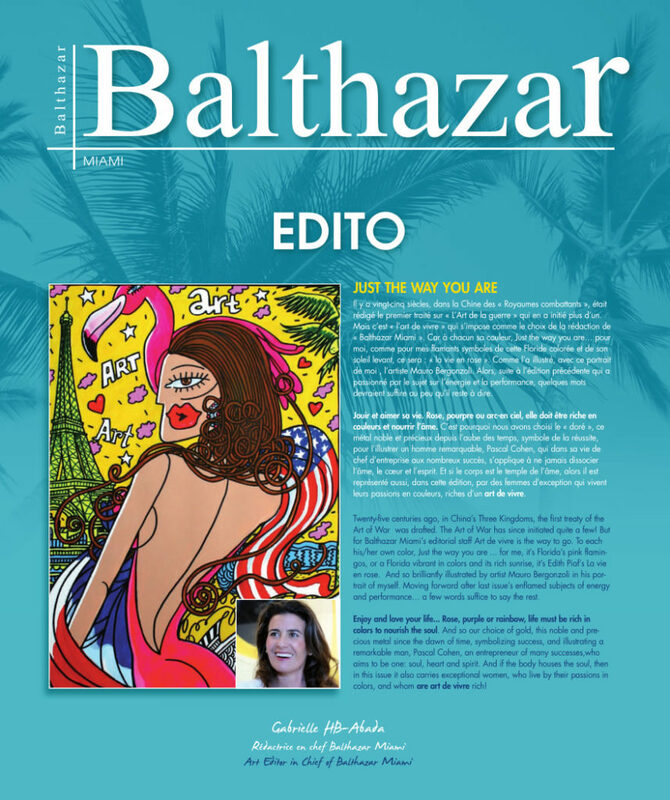 FrenchDistrict > Florida > News, Events > Latest edition of BALTHAZAR is here! Latest edition of BALTHAZAR is here! 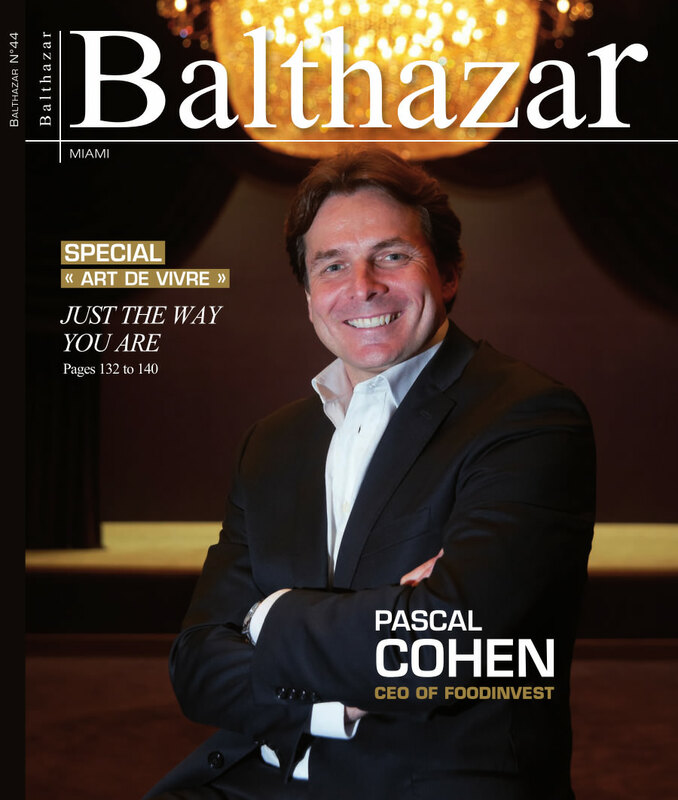 On the cover: Pascal Cohen CEO FoodInvest. Magazine available free of cost at the French District office on Lincoln Road. Twenty-five centuries ago, in China’s Three Kingdoms, the first treaty of the Art of War was drafted. The Art of War has since initiated quite a few! 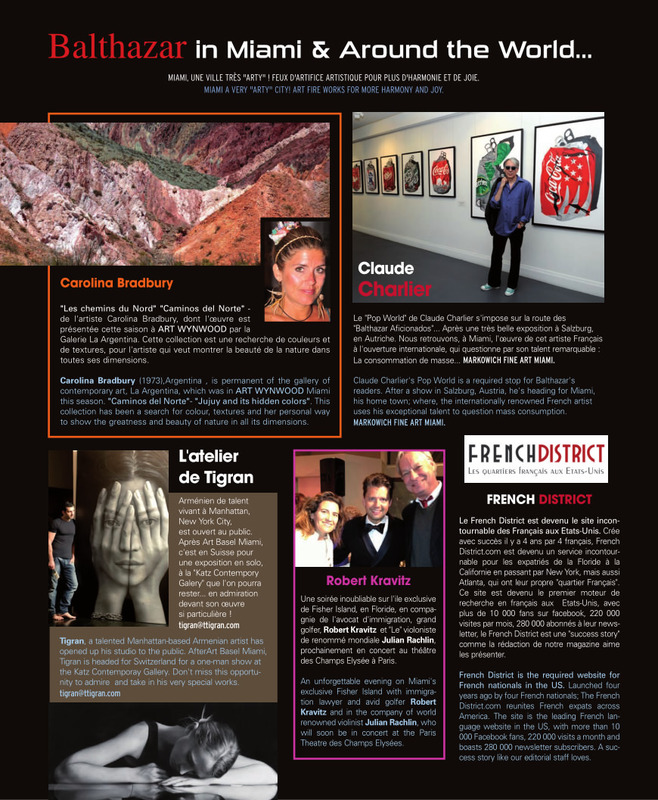 But for Balthazar Miami’s editorial staff Art de vivre is the way to go. 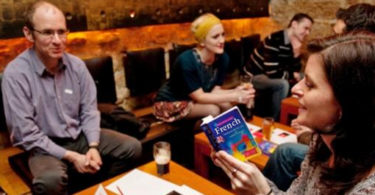 To each his/her own color, Just the way you are … for me, it’s Florida’s pink flamingos, or a Florida vibrant in colors and its rich sunrise, it’s Edith Piaf’s La vie en rose. And this is brilliantly illustrated by artist Mauro Bergonzoli in his creation of my portrait . Moving forward, after last issue’s passionate subjects of energy and performance… a few words suffice in saying the rest. Enjoy and love your life… Pink, purple or rainbow colored, life must be rich in colors to nourish the soul. And so we chose gold, a noble and precious metal since the beginning of time, symbolizing success, to portray a remarkable man, Pascal Cohen, an entrepreneur of many successes, who aims to be one: soul, heart and spirit. And if the body houses the soul, then in this issue it also carries exceptional women, who live by their passions in colors, and who believe in a rich “art de vivre“! 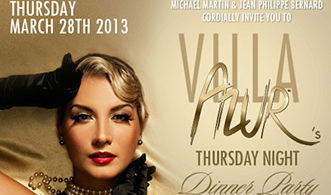 2 evenings to enjoy with Villa Azur!